by renewable power and more conservation. Fred Heutte of the Northwest Energy Coalition explain why. Fred Heutte, a senior policy associate at the coalition, explains how that's possible. The coalition's member organizations include environmental groups, Native American tribes and local governments. Water Deeply: What's unique about this study? Fred Heutte: There have been other more high-level assessments of this problem. For example: What would be required to replace the dams at a resource level? How much solar and wind would it take? You can do kind of a basic analysis of that. This study we've just completed involves a very detailed operational analysis, throughout an entire year, hour-by-hour, that looks at the entire electrical system throughout the West. If you take the dams out and replace them with the clean energy mix, what does it do to cost, emissions, resource adequacy? The Army Corps concluded some years ago -- and they only looked at natural gas replacement at that point -- it would be fairly expensive and there would be some issue with grid reliability. Well, things have changed a lot since then. Renewable energy has gotten a lot cheaper. The way the grid operates has gotten a lot different. Heutte: You need a diverse replacement mix that includes both resources on the supply side -- wind and solar -- and on the demand side -- additional energy efficiency, demand response and storage resources. If you combine all that in a smart way, the costs will be manageable and the results could actually improve on what the dams provide in terms of resource reliability. One of the issues with hydropower dams is they only generate power when they have water. The water is driven by spring snowmelt, and it's fairly low from summer through winter. The effect is, if we can replace the output of the dams with something that's better tuned to the demands within the region, you can get a good result that way. Heutte: They are not unprecedented in size at all. For example, in what we call the balanced-plus resource portfolio, that would include 750 megawatts of solar and 1,250 megawatts of wind. That's a lot, but it's not at all out of line with what we're seeing in the Northwest and California. We don't have solar quite that big in Washington yet, but California certainly does. But we have a lot more wind, something around 6,000 to 7,000 megawatts of wind in the region today. Heutte: We looked at what's already proposed for energy efficiency in the regional Seventh Power Plan (prepared by the Northwest Power and Conservation Council), to make sure we didn't double count the cheaper energy-efficiency and demand-response measures. So, for energy efficiency, we proposed everything from advanced lighting, better motors, more efficient building construction -- all those kinds of things. For demand-response, it would involve recruiting large industrial facilities that can scale back their production for a few hours when the grid really needs it, cycling air conditioning and water heaters. They do this a lot in the East when things get really hot or really cold. Here we haven't really developed it very much, because in the past we've always had a lot of surplus (electric system) capacity in our region. That's not so true any more. So demand-response is starting to be studied more, and a lot more refinements are being done. There are a lot of programs that would still have to be developed to capture that demand-response. But there's a lot of momentum to do that. Heutte: On average, depending on which resource mix you pick, the cost for an average Northwest household residential customer would be on the order of not much more than a dollar a month. This is not designed to be a very precise analysis. It gives a general sense of what the impact would be. But given that a typical household bill is $80 or $100 a month, it's not a huge percentage amount. We're looking only at the power replacement cost. We're not including the cost of either keeping or removing the dams. Removing the dams would cost a lot of money, but keeping the dams we actually think would cost a lot more. The lower Snake dams are at a point now where significant upgrades or replacements have to occur. And that's not going to be cheap. Heutte: We hope so. This is a long-term project and it's a big issue. It involves a really fundamental question: Can we preserve the environment, the natural resources we have -- in this case, the fish -- and also provide benefits like clean energy to our region and continue to provide the really important value of the hydropower system, which is how flexible it is? That's providing a value to the West, especially California. 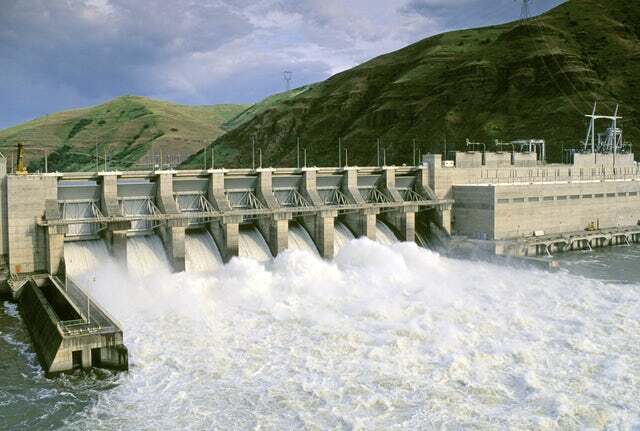 Governor Jerry Brown has directed the state agencies to take a look at what can be done to improve the arrangements in California that allow Northwest hydropower to come down and provide benefits to the changing California resource mix. More solar creates more opportunity and challenges, because in the middle of the day when there's a lot of solar power, the way the grid operates is changing. Can we provide that flexibility? I think the answer is yes. It's going to take a lot more work.